The claw machine is the only technology which has survived for almost a century unchanged in its approach to engaging players and enticing emotional reactions. When someone fails to win a prize that they want, then it only serves to reinforce the desire to have it. That is why it can be a successful business opportunity for almost anyone. • Where Could I Install a Children’s Claw Machine? • How Much Can I Earn with a Children’s Claw Machine? • Does a Claw Machine Promote Perseverance? • What Is the Future Market for a Children’s Claw Machine? Having a children’s claw machine available in your business creates a moment of fun that families can enjoy for any reason. Whether it is part of an arcade that you’re installing, or you want an option to entertain customers while they wait for services, this vending device offers a lot of potential for engagement and profit. In a world where many are seeking moments of instant gratification, a claw machine offers the hope of a significant return on a minimal investment. It is seen as a skill game more than one of chance, so there are fewer ill feelings toward the business owner if a successful outcome does not occur. If you are looking for a way to extend the reach of your business, then this guide to owning a children’s claw machine will provide insights as to how it can be a successful experience for you and your customers. Where Could I Install a Children’s Claw Machine? There is no “secret” to knowing where the perfect spot on your property to place a claw machine for your customers to use. The best place for it to be is at a standard entry and exit point where the most traffic occurs for your business. 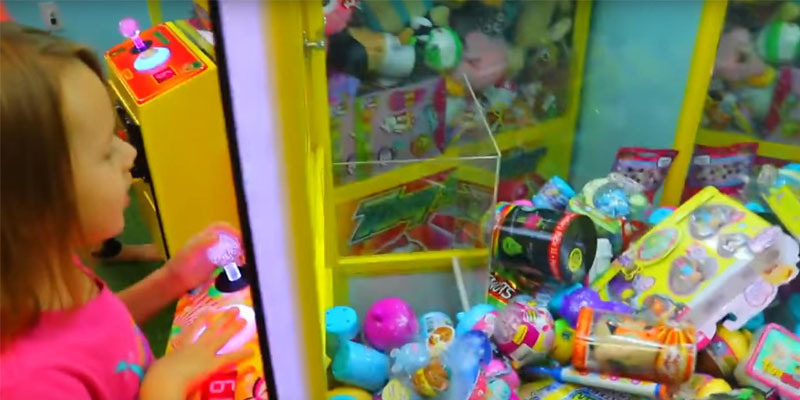 It should be installed in a place that is secure to prevent losses or damage, yet the claw machine must still be highly visible and feel like a private experience to the customer. Here are some additional high-traffic areas that are appropriate places of installation if you want to add this entertainment option to your location. • Areas near the bathroom where people gather in groups while they await the return of their party after using the facilities. • Locations near a snack bar, waiting area, or small arcade zone that people use while waiting to receive services. • A passageway on your property where customers must travel to reach your goods or services. If you own an arcade, game center, or manage an amusement park, then a children’s claw machine is an indispensable addition to these places. Many of them earn a high level of profit with minimal attention. Additional opportunities for equipment placement include a walking street or dedicated pedestrian space where there are numerous shops to explore, hotels that are next to schools or in uptown areas, or additional public spaces where you have permission to place the claw machine. Movie theaters, night markets, and even universities all may benefit from the installation of a claw machine as an entertainment option. It is not a 100% passive earning opportunity, but you will discover this vending option does not require as much attention as some other opportunities that may be available for your business. 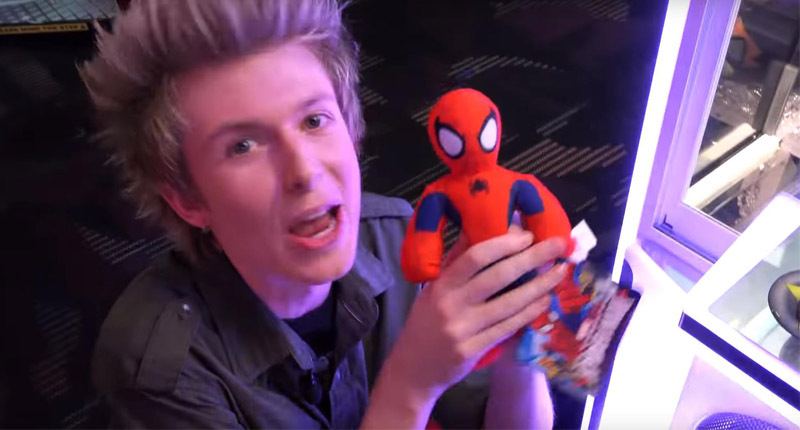 How Much Can I Earn with a Children’s Claw Machine? When you decide to incorporate a claw machine on your premises, then there are three primary costs that you must consider: prizes, electricity, and opportunity. Although these expenses vary based on your geographic location, the average machine can earn between $350 to $500 per week. In return, you only need to come to service the equipment about once per week to ensure it is working correctly and well-stocked with prizes. Depending on how much traffic you receive at the location, then you may earn more or less than this average amount. The type of prizes that you offer may also dictate the number of players you receive during the week. As a general rule, offering prizes that are more expensive will generate additional gameplay opportunities. You are the person who is in control of how many prizes are won with this equipment. The grip strength of the claw is based on the actual payout set by the operator for most manufacturers in the industry. Let’s say that you set the payout to be 6 to 1 on your new children’s claw machine. That means players can win once every six times that they play. This setup ensures that you can achieve a specific profit margin while still offering an opportunity for a skill-based outlier to occur. What is a “skill-based outlier”? It is someone who can achieve a win while playing the claw machine even though they were outside of your win ratio. Some players have the opposite occur as well, failing to win even though the grip strength of the claw was set so that they could. Attracting players to your claw machine is the easy part of the process. Turning them into repeat gamers is the challenge. Although many of these entertainment options are geared toward children, your primary demographic will be adults with kids. If your prizes are attractive to both age groups, then you will have an opportunity to build awareness and popularity for your new investment. It is essential to remember this principle when working with the claw machine industry today: winners turn into players. The best advertisement you can have for your equipment is to have other people see someone come away with a victory. People can accept the fact that they don’t win every time if they can see that others are walking away with a prize. The easiest way to avoid complaints (and create the potential for word-of-mouth marketing) is to set your equipment in a way where wins are encouraged, especially during the first days you have the claw machine operational. Make sure that you can still turn a profit, but you will also want to let your customers have an enjoyable experience. Then you will want to keep the children’s claw machine in good repair. If you experience no lights, sounds, or functions on your display, then ensure that your power switch is on if the equipment comes with this option. You will want to provide any batteries which power the machine are charged. Then you will want to examine if there is a faulty power switch or circuit board that is preventing it from working. If you experience a claw malfunction, it may be due to the fact that too many prizes were placed within the machine. Try to fix the problem by removing some of the items. You may have also included products that are either too small, too heavy, or too large for the equipment to manage. There may be times when the claw does not open for some reason. Try to release it manually, depending on what the troubleshooting instructions from the manufacturer happen to be, and then repeat the process. If it is still not working for you, then it may need a full replacement. If the case becomes scuffed or cracked, then you may need to replace the items if possible. You can usually buff out minor scratches with a light rubbing compound meant for the surface of your display. If you want to promote a children’s claw machine at your business successfully, then the principles to follow are similar to what you would want to do for a standard vending machine opportunity. Most people walk by a vending machine at least once per day. Many of them do not think about the reasons why they are there. They only pay attention to the equipment when it offers something that they want or need. Your marketing efforts must reflect this perspective. Customers will pay attention to your marketing efforts when you can demonstrate to them that you have the capabilities to meet their expectations. People use a claw machine for three primary reasons. • It is a fun opportunity to show off personal skills while killing time when there is nothing else that feels exciting nearby. • There might be something offered as a prize that the player really wants, so they play it as many times as they can in the hope that they will become a winner. 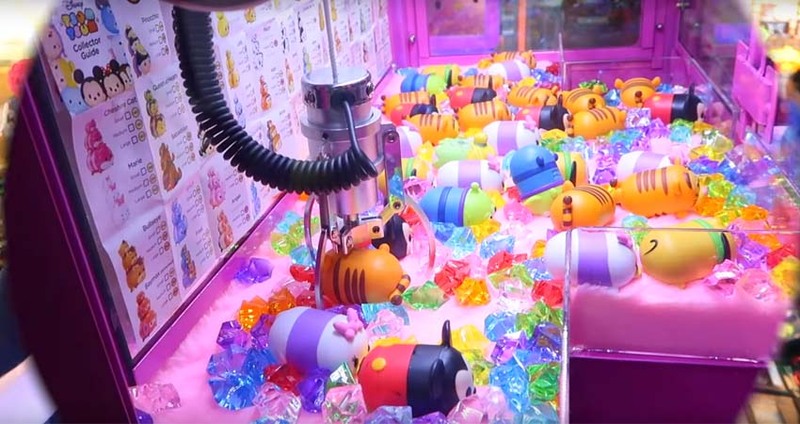 • If you search online for claw machines, you will find videos, blogs, and other forms of content that offer players advice on how they can become a winner. Some people will want to test the potential of the hypotheses they found. The presence of a children’s claw machine creates its own marketing for the people who encounter it at your location. It asks each person who passes it if they want to become a player. Each visitor must then decide if they’re going to play, or if they want to continue going about the business of their day. Your marketing efforts must impact the people who are not visiting your business regularly to maximize the impact of this investment. One of the best places to start is to promote your new addition on every social media platform that you have. Facebook, Twitter, Instagram, and many more sites are proven marketing tools that can effectively increase the amount of traffic you receive. You might update your profile or page with new images of prizes, special discounts for multiple play opportunities, or offer specials that include other products or services that you sell. You can always take the traditional approach to your marketing efforts by printing flyers and brochures to distribute throughout your community. There is also the possibility of creating a specific website that tracks your children’s claw machine, offering updates to consumers, a live webcam potentially, and similar techniques that will provide it with more exposure when people start to research your company online. One of the unique reasons why some people play with claw machines regularly is that they feel like it improves their intellectual ability. When children play with this equipment, they must logically process where to position the claw and when to drop it. There is also a timing element involved, which encourages them to practice their decision-making processes in a manner that is similar to playing a video game. 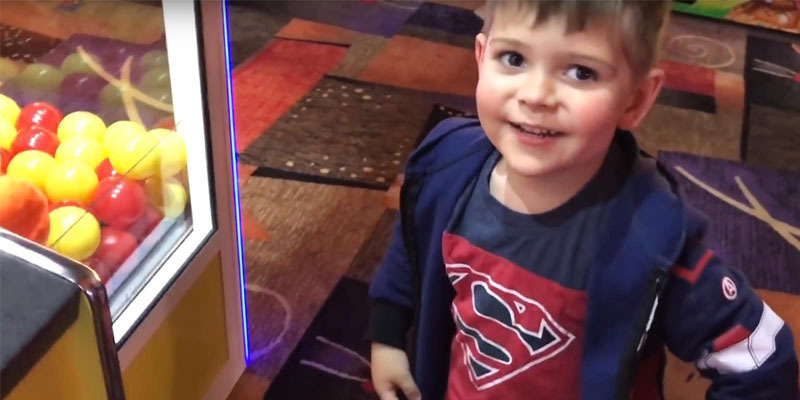 There is also the connection with family members that develops when people gather to play with a children’s claw machine. Although there are large arcades which offer dozens of these machines to play at once, you will also find them at almost any business where people must wait in line. You can promote conversation, encouragement, and higher levels of self-esteem in your community by encouraging affordable gameplay. Then your job is to start driving more customers to your location so they can see and experience your new investment. If you are too busy to operate a website on your own, then consider outsourcing the menial tasks to someone else. Your blogging, search engine optimization, and website design can all be handled by freelancers. 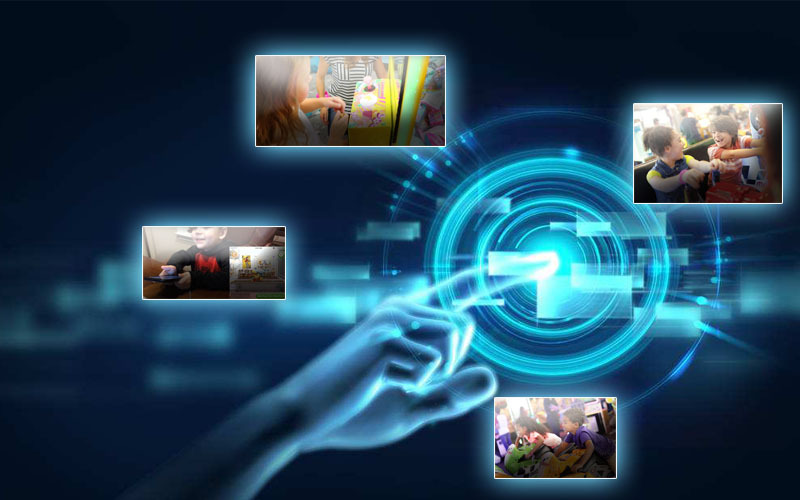 You can also automate your social media presence for your new children’s claw machine to increase the traffic you receive and the leads which develop from the effort. It may also be helpful to work with tools like IFTTT and Zapier to automate some of your online promotional needs, including sending new email campaigns to people who are interested in visiting your business. Then consider using a tool that alerts you to when emails or messages from your most important clients come through. The typical worker spends 12.5 days per week on email alone, which means you could be spending more time on better things than following up on messages that never turn into prospects. The most significant mistake that new operators make with their claw machines is that they think they can place them anywhere on their property. You must put them in a high-profile location which tempts your visitors to become players. If you tuck the equipment into a back corner where people rarely go, then you might not earn anything for the week when you check on the machine. 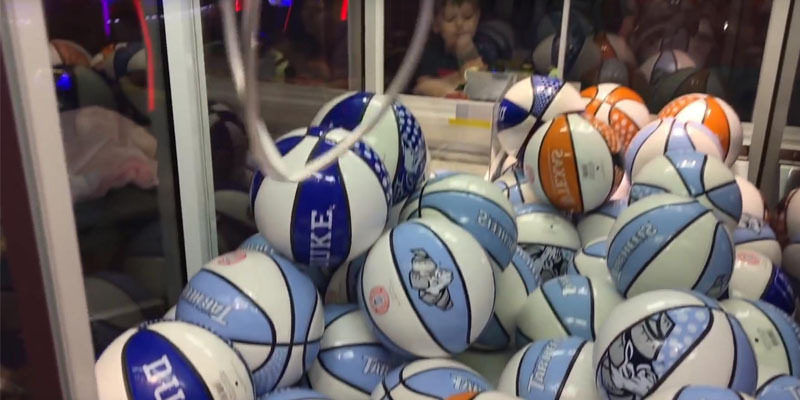 Another issue that new children’s claw machine operators run into is the idea that setting the equipment to offer no prizes is the best solution. Everyone recognizes on a core level that you need to make a profit from this equipment. What they want is a fair chance of becoming a winner. If no one ever wins, then your visitors will start talking about their experiences, which will lead to a lack of use. If you decide to add a children’s claw machine to your property, then a reasonable winning percentage is somewhere in the 40% to 60% gross range. You must also be considerate about what you place inside of the claw machine as a prize if you want to have a successful experience. People don’t see the equipment. They care about the awards which are in the cabinet. If you are using outdated toys, unwanted prizes, or items which don’t offer an intriguing value proposition to a player, then no one is going to pay any attention to this addition. Claw strength is another issue to consider. You should offer something that feels realistic that inspires the enthusiasm of the player without making the equipment seem weak or pointless. When someone almost wins a prize, that creates your best-case scenario because they will want to play again. Does a Claw Machine Promote Perseverance? One of the unique benefits of having a claw machine on your premises for children and adults to use is that it poses a potential challenge to the player. You are offering them an invitation to take on this opportunity. If there is an item that the player really wants to obtain within the machine, then they will persevere with another play option in an attempt to successfully capture the product. That is why vendors who offer small discounts for multiple play opportunities often see high levels of success when they invest in a children’s claw machine for their property. This benefit is only one of several that you may experience when adding this machine to your property. Here are some of the other advantages that are worth considering. 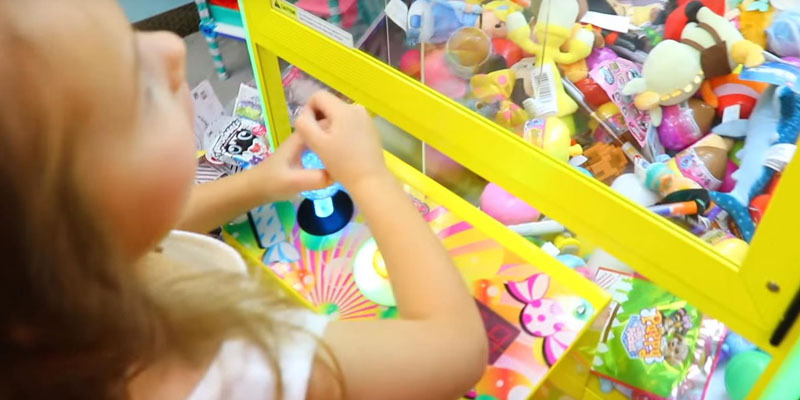 Even though a children’s claw machine suggests the need for a skill to be successful, the average player can develop a strategy which they believe will lead them to a happy outcome. 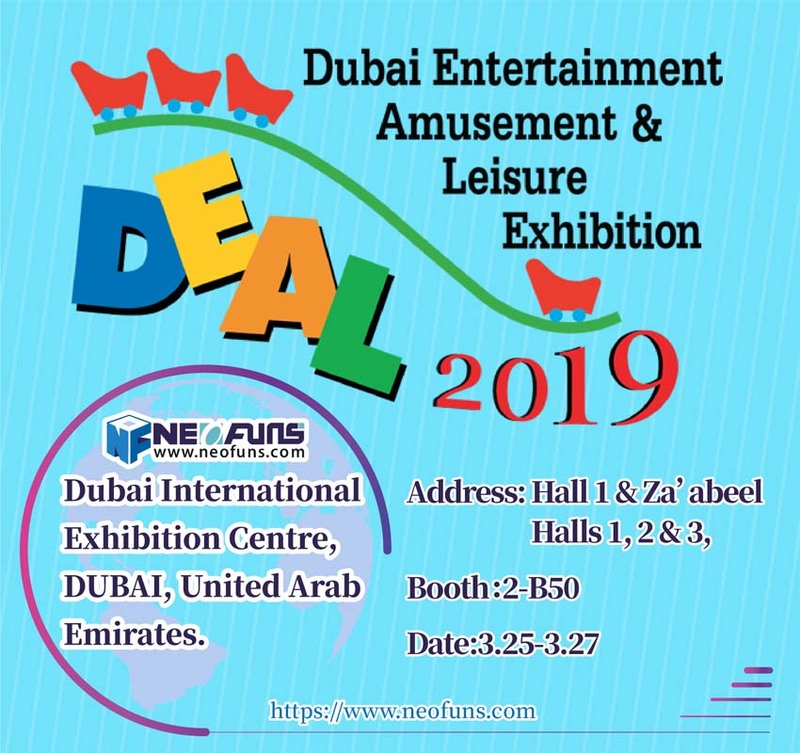 It is a challenge that anyone of almost any age can take on, allowing you to market your property to people of all ages – unlike other entertainment options which are available through the vending and arcade industry. 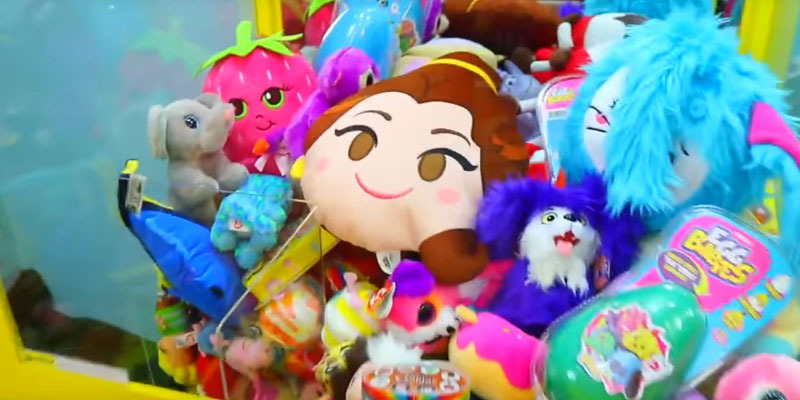 Players are attracted to a children’s claw machine because of the variety of prizes that are available with a successful outcome. Most locations will stock licensed plush toys or sports memorabilia as a way to attract a conversion. Some use this equipment to offer large, valuable prizes such as gaming consoles, jewelry, or expensive toys that are popular. If you can provide a relevant collection during every season, then you will invite people to stop by for a play whenever they visit your business. What is unique about the claw machine more than any other entertainment device is the fact that you can own multiple versions of the same equipment without reducing the interest that players have in the experience. All you need to do is fill each one with a different variety of prizes. You will then have children and adults gravitate toward the options which tempt them the most. If they succeed, then they have an enjoyable experience that reflects well on your company. Should they fail, then they will try again when the moment is right – without a negative association to your organization. You will find numerous children’s claw machines at arcades and rightly so because of their entertainment value. Then you will find them available at many major retail chains in the front entryway, right next to movie rental kiosks, change converters, and other vending equipment options. They are suitable for restaurants, salons, pubs or bars, and anywhere else there is a possibility of a wait time for services. The players who love this equipment want to test their skills on it, which means their patience is extended because there is something for them to do while they wait. Whenever you offer an entertainment option for your customers, there is an upkeep cost that must come under consideration. You will want the claw machine to earn profits and branding goodwill, which means it must stay in good repair. Most locations can clean, check, and restock their equipment about once per week while collecting their earnings, creating a mostly passive form of income from which to benefit. The children’s claw machine design is inviting for families because it can be a group experience. You will often see players asking for or listening to the advice of their family and friends as they attempt to win a prize. When this equipment is available at any property, then you are offering people an opportunity where they can spend time with their loved ones, have some fun, and feel good even if they do not win. If you have additional questions about the purchase, use, or installation of a children’s claw machine, then here are some of the crucial points that you will want to know before finalizing your purchase. How much does it usually cost to purchase a claw machine? The amount that you spend on a claw machine depends on the features that you want to have included with the product. You will find several options available for $5,000 or less per item. If you’re going to add music, lights, and digital graphics for your children’s claw machine, then there are options priced above $30,000 per unit from some manufacturers. What type of prizes should I purchase for my claw machine? Most claw machines use plushies as their primary prize because they attract the attention of kids and adults at the same time. If there is a professional sports team in your community, then offering branded merchandise can be a way to turn more visitors into players. Some owners prefer to provide high-value merchandise at a higher price point per play because their customers are interested in technology, jewelry, or similar categories. Can I operate my claw machine outside? Virtually all of the children’s claw machines which are available for sale today are intended for indoor use only. If you have a covered entryway that you can leave open to the public 24/7, then you can offer ongoing access to the equipment. Otherwise, this entertainment option is usually reserved for your standard operating hours. What are the electrical requirements for a children’s claw machine? The average amperage for most upright claw machines (and other arcade devices) is a minimum of 2 amps or a maximum of 10 amps. Wattage generally falls into the range of 300-1,000. Most are designed to plug in immediately once unpacked because they work with the standard commercial or residential electrical system for your geographic location. You can typically operate 1-2 on a conventional circuit. Do I need to use coins to play with a claw machine? If you want to add a claw machine to your home recreational options, then look for a model that offers a “free play” option. You can then set the equipment to play without the use of tokens or coins. How much should I charge for each play session? Most of the children’s claw machines that are operational around the world today are offered at a price range of $0.25 to $2 for every play opportunity. You will also find some operators providing a discount for multiple plays – i.e., at a $2 per play option, players might have a chance to purchase three games for $5 instead of being forced to pay $6. It is up to you to find the right balance of price and prize that will tempt your visitors to start playing. What Is the Future Market for a Children’s Claw Machine? Although the styles of the equipment have changed over the years, the pace of gameplay is still the same. The approach to the consumer is similar as well. That is why it is an exciting opportunity to join this industry right now. Almost any business which produces a queue will benefit from this entertainment option. If families bring their children to your business, then you can invite them to have fun, and then possibly win a prize as well. It can be a way to teach perseverance, build loyalty to your brand, and create a line of almost-passive profits. This industry has been seeing interest and growth rise for almost 30 consecutive years. 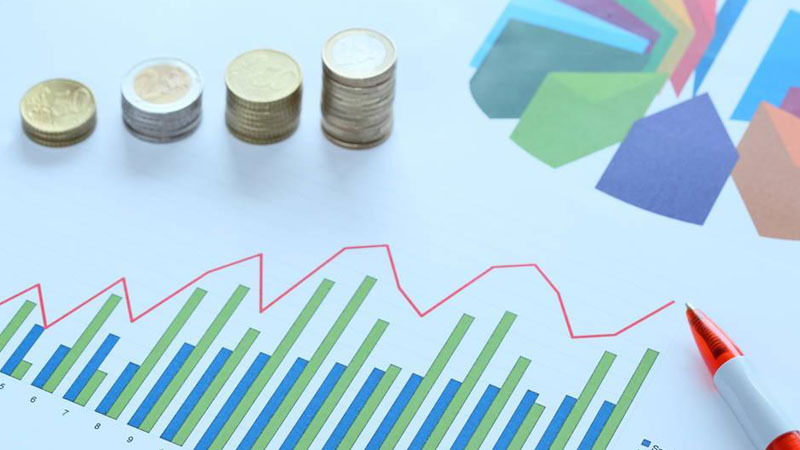 Although the results are variable based on how someone markets and places their machine, you will find it to be a worthy addition to your company’s offerings. For a minimal investment, you could break even in potentially less than a year, and then enjoy a consistent source of income that works with your existing products or services. Now is the time to explore this opportunity because the time has never been better to add a children’s claw machine to your property.